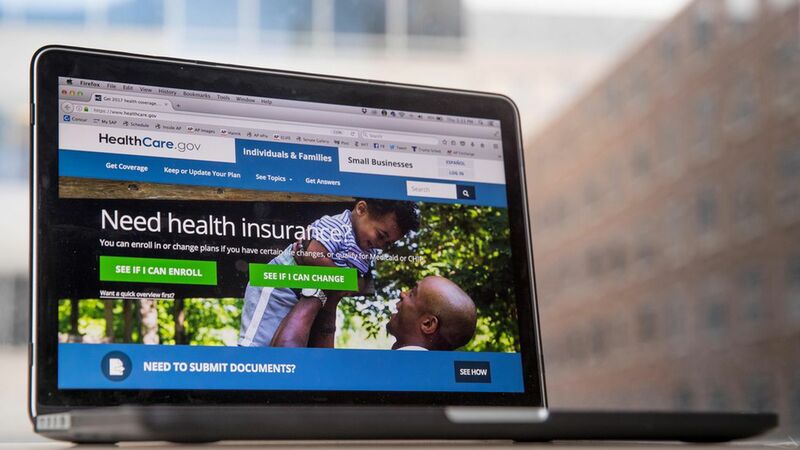 Two new federal policies will tinker with Affordable Care Act enrollment and make online insurance brokers a lot happier. During the next open-enrollment period, individual ACA shoppers and those who work in small businesses will be able to sign up for health coverage directly from web brokers like eHealth instead of getting redirected to HealthCare.gov. Why it matters: The changes make it clear that if the Trump administration has to carry out the law, it will put more control into the hands of the private sector. More people could ultimately sign up for ACA plans if they don't have to bounce around different websites, but there are concerns that web brokers might direct people toward health plans that aren't the best fit. How online health brokers work: eHealth, HealthSherpa, GetInsured, Stride Health and numerous other companies show people what health plans are available. Brokers are paid commissions from the health insurance companies for every person they get to enroll. Once the ACA went into effect, their business changed. Many people in the individual market signed up directly using HealthCare.gov or their state-based website instead of web brokers. And because ACA members had higher costs, insurers began to cut or eliminate commissions for ACA plans. It's possible giving brokers more control could help ACA enrollment: John Desser, a top lobbyist at eHealth, told the federal government this past March that the current process is "jarring and injects a level of consumer confusion." A simpler online process could attract more young adults and make it easier for employers to enroll their part-time or seasonal employees, HealthSherpa has argued. Brokers are not incentivized to show people the "best deals," whereas HealthCare.gov and state-based exchanges are neutral intermediaries. Concerns over fraud if brokers handle sensitive tax information for people who are eligible for subsidies. Less marketing to people who could get coverage outside of open enrollment. Brokers usually are not paid any commission, or receive only a severely reduced commission, for "special" enrollment options. Worth noting: eHealth's stock is up 22% this month.